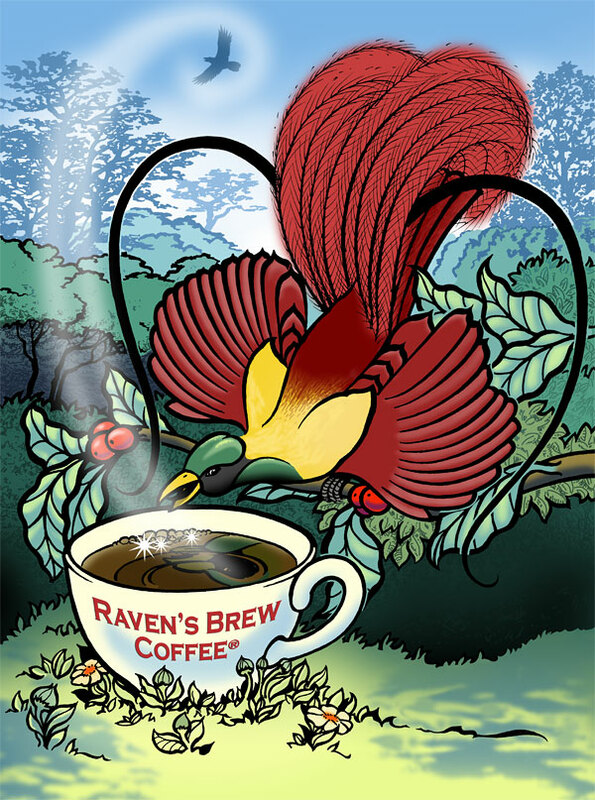 The following illustrations were for limited edition coffees at Raven's Brew Coffee. This image is for a naturally processed coffee from Burundi (with a blueberry flavor profile). Digital drawing and color. 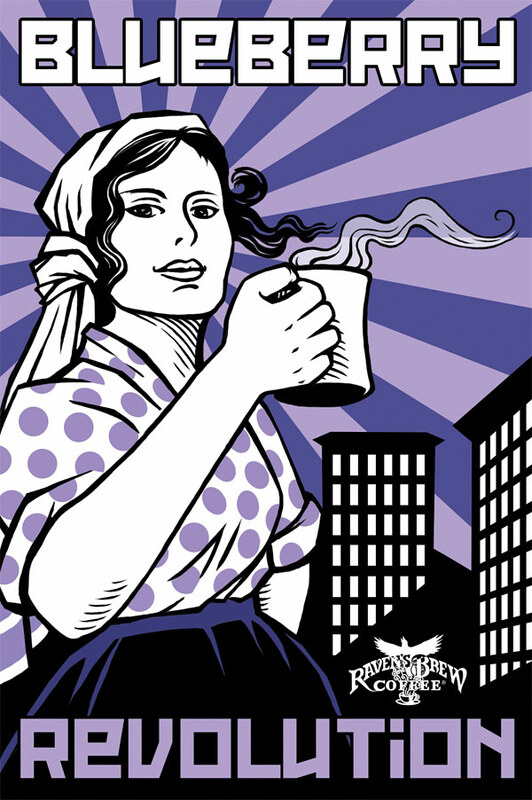 This image was for a coffee from Kenya. 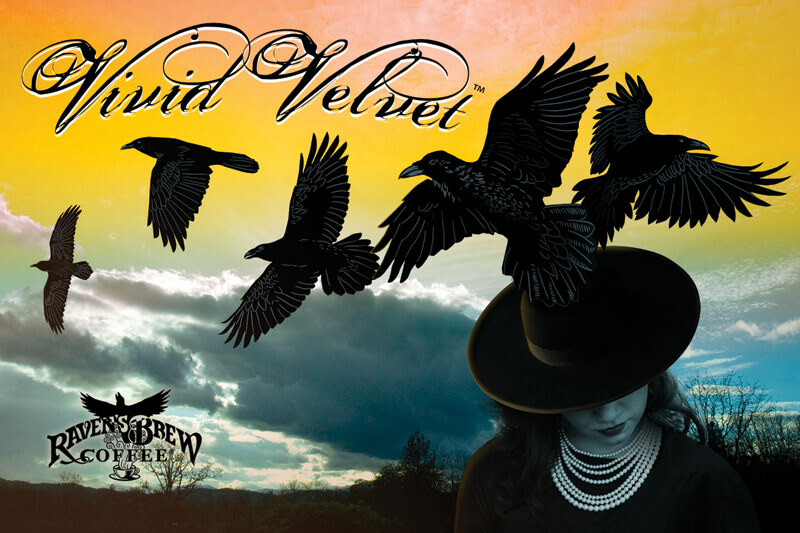 The image is a composite of 3 photos with drawings of ravens (the image of the woman is a stock photo). Bird of paradise illustration for a coffee from New Guinea: ink drawing with digital color. For this coffee from Mexico, I used a flower illustration reminiscent of the style used by the Cora people for decorating their woven carrying bags: ink drawing with digital color. 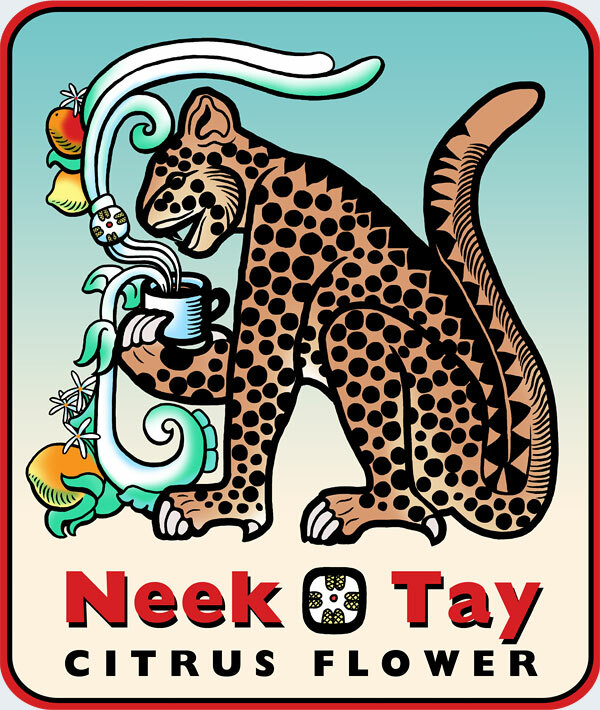 Jaguar in the Mayan style for a guest coffee from Guatemala: ink drawing with digital color.